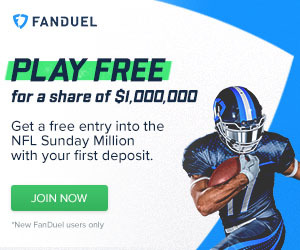 When playing on daily fantasy football sites like Draftkings or Fanduel, you can scrap your lineup from the previous week and start from scratch for week 8. This is the draw of playing in a daily fantasy football league such as Draftkings. Whatever lineup errors you made last week can be fixed and you can learn from your mistakes and start brand new. This is an ongoing weekly article that targets a group of running backs who are projected to produce above their norm for the upcoming week. In week 8, I have identified not only players at the RB position who have favorable matchups in week 8 but also ones who provide value. Value is determined by comparing the average fantasy points per game with the player's virtual salary. Salary is determined by the website, either Draftkings or Fanduel, and is not real money. In this instance, I will be listing salary prices on Draftkings, but the same reasons for a player projection will be applicable on Fanduel as well. Again this week I bypass the two best running backs in the National Football League (Matt Forte and DeMarco Murray). This is because just below them on price is Arian Foster, who provides more value and has a more favorable matchup. Foster is averaging an impressive 24.2 fantasy points per game and will be facing a Titan's defense who is allowing around 22.76 fantasy points to opposing running backs. For over $1,000 less than Foster, you can get Lynch who will likely go beast mode on a Carolina team that is averaging a ridiculous 31.13 fantasy points to running backs. Look for Russell Wilson to not try and do too much as he has done in their last two winless games and spread the ball around more like the team use to do. Bell really has a drop in salary for week 8 for a player that has been so consistent throughout the season. It's hard not to consider him for the price and the fact that he is averaging 21.1 fantasy points despite the Steelers mediocre play. The Colts are middle of the pack when it comes to stopping the run, but Bell has just been so consistent that he should be considered for this price. On the other side of the ball, Bradshaw is less consistent than Bell, but faces an easier defense against the run. Steelers are coming off a short week that saw Arian Foster punish them on Monday night. Bradshaw is averaging 17 fantasy points per game while the Steelers are giving up 23.16 to running backs. Expect around 20 fantasy points in week 8 if he's in your lineup. This is a prime value pick for your lineup. An up an coming Forsett who is averaging 15.2 fantasy points per game. He has a slightly lower salary in week 8 that you might want to take advantage of but he still faces a favorable lineup. McKinnon had a really good game last week against a good defense (Buffalo). Now he faces a team who is third worst against the run. Expect the Vikings to really start to click in week 8 against a soft Tampa Bay defense. This one isn't hard to figure out. Bell is facing the defense that gives the most fantasy football points to running backs in the NFL and he has a low salary price. Perfect value pick. *Note-Keep and eye on Reggie Bush who may play on Sunday coming back from injury. If he does, you can pick him up for much cheaper ($4,300). It's no doubt that the biggest weakness on the improved Brown's team is it's run defense. McFadden will be going against one of his better matchups of the year, which means he provides value to your lineup this week. Although McFadden is only averaging 11 fantasy points per game, you can expect more from him this week against a defense that is allowing 27.95 fantasy points to opposing running backs. It may be hard to believe that the Browns and the Seahawks have the same record right now but last week both teams lost for similar reasons. Both Cleveland and Seattle must rely heavily on the running game to be successful and not let their quarterbacks have to do too much. Both Wilson and Hoyer had to carry the offense which contributed to their failure. Look for the Browns to get back to the run game in week 8 with plenty of touches early and often against a team who has been very bad against the run. Again, Isaiah Crowell may be a good play as well for $3,400. Martin could be a good tournament play in week 8 because of his low salary and high ceiling. He is only averaging 8.1 fantasy points per game but goes against a team who is giving up 28.56. You can expect Martin to have one of his better games of the year and potentially rack up over 20 fantasy points. With any tournament play, they are high risk, high reward. He could have a breakout game, or he could be below average. Another player that is hard to overlook considering his salary. Could be another good tournament play as he will not likely be in very many lineups, which will help distinguish you from the masses (as well as your overall score). The matchup really isn't bad at all either. Green Bay gives up 24.19 fantasy points per game to running backs, which is about middle of the pack for defenses in the league. Another high risk, high reward player for tournament play. Taking a chance on a very low priced player like this could pay off big if he puts up big numbers. This is because the virtual money you save with him allows you to spend it on other big time players who will more than likely put up big numbers. This combination can potentially lead to a big overall score for your lineup. There is of course no guarantee that he will have a good game as he is the 3rd string RB on the team who will be taking over for Fred Jackson and C.J. Spiller who are injured. You're taking a chance with him, but when you are playing tournament, as opposed to 50/50, you have to take chances to distinguish your lineup from all the others.